Félagsbústaðir hf (Reykjavik Social Housing) is a public limited company and a wholly owned subsidiary of Reykjavík City. The stated aim of the company is to contribute to welfare in Reykjavík by offering affordable rental housing to people with low income and people who find themselves in a difficult social situation. The company provides general social housing, homes for elderly people and special homes for disabled people. Kambavað is a special home for disabled people developed by Félagsbústaðir. The project is the third in line of special homes but the company has three more projects in construction development and even more are in the planning phase. The architect of the project is Gunnar Bogi Borgarsson from ASK arktitektar. 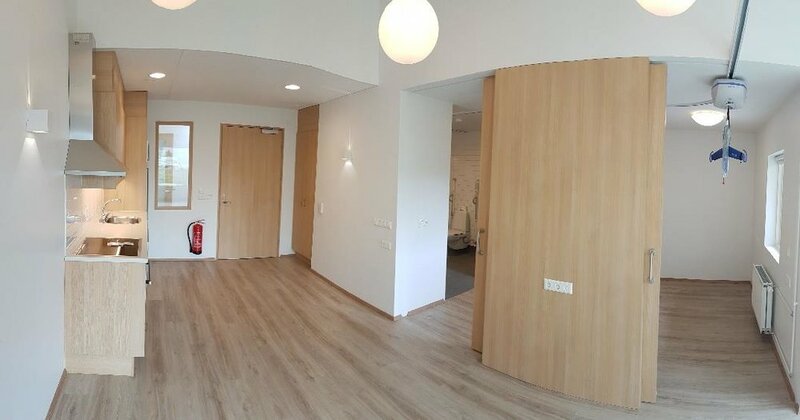 Kambavað both serves as a home for 6 disabled individuals and a workplace for over 20 people. Thus the balance and boundaries between the privacy of a home and the function of a workplace provided a challenge to the architect. Good working conditions facilitate the long term hiring of talented staff which foster long term relations between staff and residents. Although the project is relatively small in economic terms, it is one in series of similar projects. The design team reuses and iterates the designs for each home and are involved in the managing of the construction. 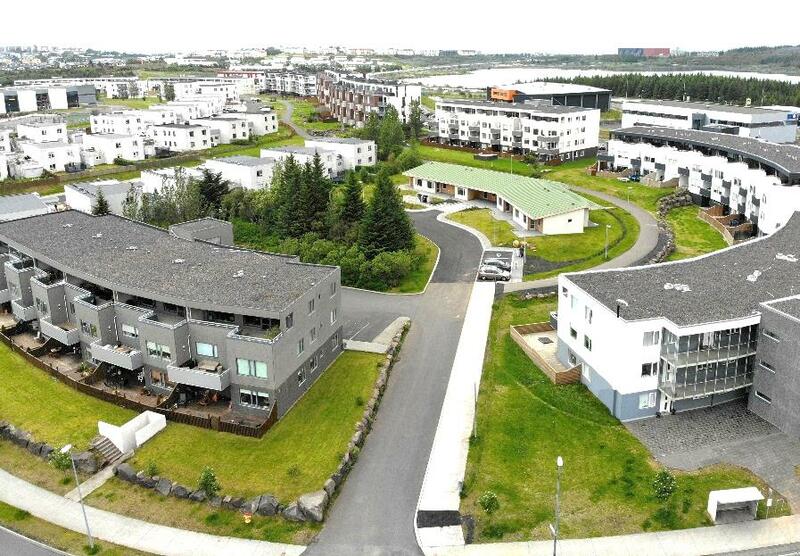 Kambavað was contracted along with a sister project so two special homes were built in tandem by the same contractor. The rental price to residents in Kambavað is based on the average rent og general social apartments in Reykjavik of similar size/utility. The balance for sustainable operation for Félagbústaðir is paid for by Reykjavik welfare. Although the design and structure of Kambavað is quite conventional the project has number of positive ecological elements.